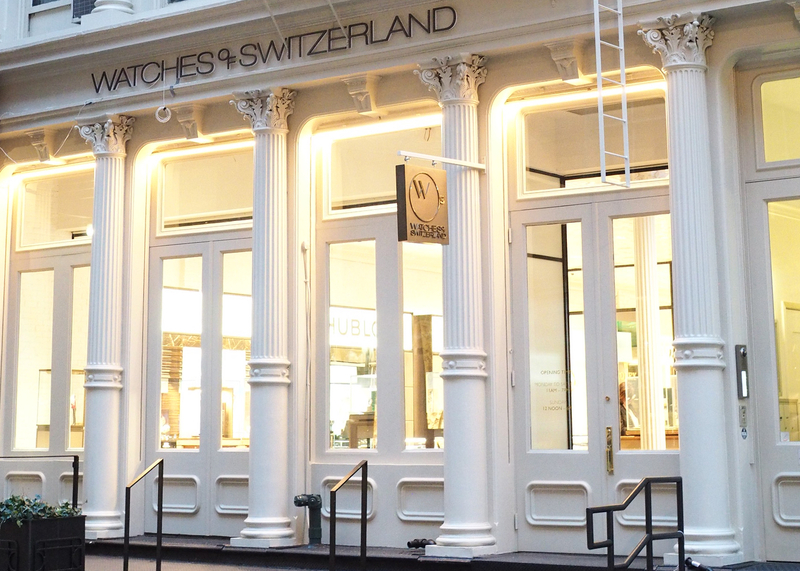 Today, Watches of Switzerland continues their United States expansion and celebrates the grand opening of their first New York retail store, located at 60 Greene Street. The Watches of Switzerland Group CEO, Brian Duffy, told Professional Watches during a preview of the store on Tuesday, that he and his team believe the USA is an underinvested market and they expect to increase the overall market for watches here. SoHo is a very important strategic part of the growth plan for the United Kingdom’s largest luxury watch retailer, and this continues the rapid pace of expansion that began last year. In addition to acquiring Mayors (17 watch and jewelry stores in the Southeast US), in 2017 WOS also took over the Wynn store and Rolex mono-brand boutique. They are also opening Breitling and Omega mono-brand boutiques in the Wynn this week. The Wynn store has been relocated and is now adjacent to the Rolex boutique and officially reopens tomorrow. Further, in March 2019 the company will open another New York flagship at Hudson Yards, followed by a store at American Dream in the Meadowlands later in the year. According to Duffy, once the American Dream location is complete, in the summer of 2019, the group will have 24 stores in the US, and 140 total between the US and UK. With a London stock exchange IPO on the horizon (rumored to be happening in 2019), and 2017 sales exceeding $870 million, we can ascertain that $1 billion in annual sales is not far off. 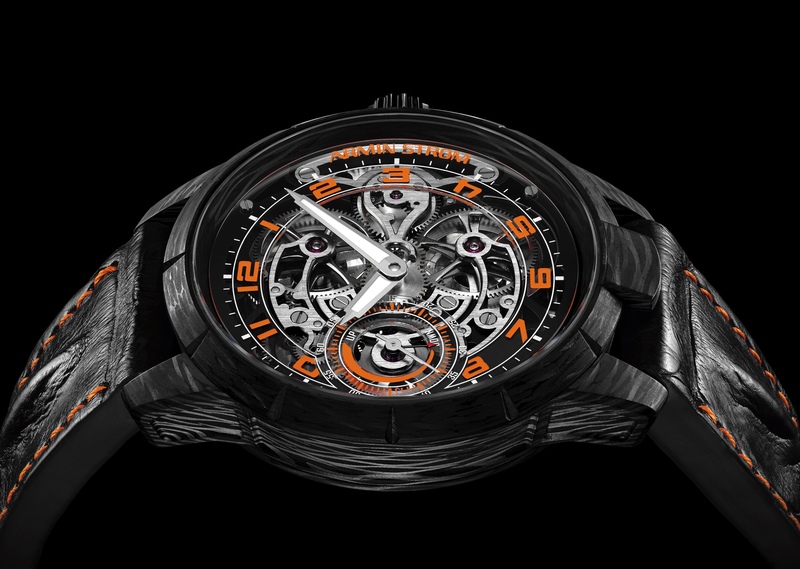 Watches of Switzerland is already the second largest multi-brand luxury watch retailer in the world (number one is the Bucherer Group). While Duffy could not say much about a potential IPO, he did add further credence to the idea by confirming that they are already in discussions to develop even more stores in the US. Situated on a beautiful Cobblestone street in the historic cast-iron district, the Watches of Switzerland SoHo store features 25-foot ceilings and 8,000 square feet of space (5,000+ of actual retail space) on two floors and is unlike any watch store you’ll find in New York. The entire building and its gorgeous original ironworks facade have been completely refinished while retaining its historic charm. The interior was renovated to a level befitting the finish of the finest luxury watch, with distinctive sections for each of the flagship brands (such as Cartier, Rolex, Omega, and Patek Philippe) on the main level. During the renovations the stairs were relocated (which was a major project due to the existing architectural features), a massive granite bar was constructed (with input from Death & Co), and behind the bar there are floor-to-ceiling windows that stretch the full width of the store allowing sunlight to penetrate the underground space during the day and making for an impressive backdrop. The air shaft which provides the light to the bar area is decorated with a stone wall and also provides the upstairs with natural light at the back of the store, giving the loft-style store a bright, modern aesthetic. At launch, the Watches of Switzerland SoHo store will carry new watches from Rolex, Patek Philippe, Cartier, IWC, Hublot, Jaeger-LeCoultre, Omega, Breitling, Tudor, TAG Heuer, Girard-Perregaux, Ulysse Nardin, Bremont, and Longines. In addition, there will be a rotating pop-up shop 3-4 times a year which will debut with Grand Seiko. For vintage watches, the company is partnering with the New York-based specialists, AnalogShift, to curate a desirable selection of important collectible timepieces. In the collector’s lounge (located in the lower level) there is a library of books personally curated by Esquire’s longtime Fashion Director, Nick Sullivan. While you visit the store, whether to buy, to read, or just to converse about watches, the fully stocked bar you see at the back (pictured below) will be serving cocktails made by the craft cocktail specialists from Death & Co. Instead of paintings, the walls are decorated with photos provided by the non-profit Aperture Foundation, with a continuously rotating selection, along with some work from local photographers, such as Atom Moore. There is a watch strap bar (pictured below) and a selection of Wolf watch winders presented on the wall behind it. The service area is also on the lower level and can help with any watch maintenance needs. For the digital side of the business, in addition to displays throughout the stores, a new US version of the company’s website has just been launched at WatchesofSwitzerland.com and will have e-commerce buying options in February 2019 (for the brands that allow it).